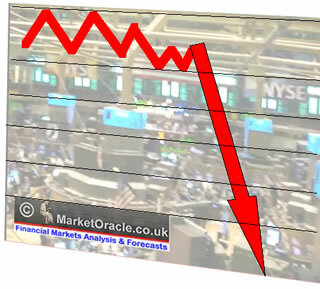 US Credit Markets Are Collapsing! - Last Chance to Defend Your Portfolio! This is the " Great Ratings Debacle " I highlighted last year. And now, the critical watershed event that I said would trigger the next phase — the collapse of the bond insurers' triple-A ratings — is here in aces and spades. Without the triple-A rating, their whole reason to exist falls by the wayside: They cannot enhance the credit of bond issuers. They cannot do more business. They may as well close their doors and go home. Financial Guarantee Insurance Co. (FGIC), the nation's third largest, just lost its triple-A rating last week. Moody's literally gutted its rating by a full six notches in one fell swoop. At the same time, Moody's warned that unless FGIC can raise the needed capital, it's ready to cut FGIC's rating to a hair above junk. To underscore that it means business, Moody's has already downgraded FGIC's senior debt to junk, threatening to drop it to deeper junk. Ambac's triple-A rating was zapped by all three major rating agencies in late January. Next, MBIA is on the chopping block, slated to lose its triple-A rating within a matter of days. All three of the largest bond insurers are engulfed in the mess. And all three are trapped between two major business lines — their traditional business of insuring municipal bonds against default, which is supposedly still stable ... and their newer business of insuring mortgage- and debt-backed securities, which is in total disarray. Meanwhile, the nation's banks and other big investors — the last hope for bond insurers — have so far failed to come forward with the needed capital. leave behind strictly the bad assets (polices covering the disaster-plagued mortgage and debt sectors). The bankers were shocked and dismayed. Instead of being the first to hear the news as part of their intense, ongoing discussions with New York State regulators, they heard about it on CNBC. And instead of responding with fear and remorse, their primary reaction is anger and rebellion. What's next? Follow along with me, and you'll see that, like four different pathways engulfed by the same forest fire, all four likely scenarios lead to essentially the same result: Credit collapse. Despite their instincts not to get dragged into the morass, bankers and other investors come through with 11th-hour capital infusions for the bond insurers. Consequences: The banks take a big step closer to insolvency, creating an even broader threat to the financial system. Reason: The true liabilities of the bond insurers are incalculable. The potential exposure to losses is virtually unlimited. And before the bond insurance crisis, the banks were already buckling under their subprime mortgage losses. The banks stay out. But despite his warnings, Spitzer fails to move forward promptly to take over the bond insurers. Consequences: The current downward spiral of the bond insurers continues unabated. MBIA, the last of the Big Three to be downgraded, loses its triple-A rating. FGIC is downgraded to junk; Ambac, to near junk. The $2.6 trillion municipal bond market virtually dies. Reason: When the bond insurers are downgraded, the hundreds of thousands of municipal bonds they cover are automatically downgraded — a ratings collapse that's so massive, it can shut off the credit spigot to all city and state governments, whether insured or not. Spitzer acts this week to take over MBIA and Ambac, promptly splitting them in half and creating new companies for each. According to plan, the pre-existing bond insurers are stuck holding the sick insurance business; the new companies get the supposedly healthy insurance business. Consequences: The existing bond insurers are immediately downgraded to deep junk, and that's generous. By all reasonable measures, they are insolvent from day one. And any floating ships still remaining in the market for mortgage- and debt-backed securities are sunk. Meanwhile, local governments are the winners. But it's a pyrrhic victory. Reason: The municipal bond market isn't in trouble just because of what's happening to the bond insurers. It's also in trouble because municipal governments all over the country are suffering falling property values — and falling property tax revenues. By sacrificing mortgage securities for the sake of protecting municipal securities, Spitzer doesn't do local governments any long-term favors. They depend on a healthy mortgage and real estate market to sustain their own finances. When mortgages and real estate go down, so do they. The federal government steps in to bail out the bond insurers — either with or without the plan Spitzer's proposing. The hope is that the good credit of the U.S. Treasury uplifts the bad credit of the insurers. Consequences: Precisely the opposite happens. The bad credit of the bond insurers — and their boundless exposure to defaulting mortgages — drags down the good credit of the U.S. Treasury. Treasury notes and bonds fall in price, while their yields rise. And since 10-year Treasury-note yields are closely tied to the rates on 30-year fixed mortgages, rather than supporting the housing market, the federal government inadvertently drives it into a deeper hole with a spike in interest rates. Reason: The sheer volume of mortgages outstanding in America is far bigger than the volume of U.S. Treasuries. Moreover, with $150 billion being spent on the economic stimulus package, with inevitably huge federal deficits in a recession, and with looming seas of red ink in Medicare ... the U.S. Treasury Department's long-term credit is not exactly fool-proof. Bottom line: There's no scenario that ends in a soft landing for the bond insurers. The underlying assets are rotten. The credit markets are sour. And no type of bailout — public or private — can cover up the stench. You've no doubt heard about the disasters in subprime mortgages, Alt-A (intermediate quality) mortgages, prime mortgages, credit cards, auto loans and student loans. The nation's largest mortgage insurers — responsible for protecting lenders and investors from defaults on millions of homes — are being ravaged by losses. MGIC Investment Corp., swamped with claims, just posted a $1.47 billion loss. Triad Guaranty, a much smaller mortgage insurer, reported a $75 million loss. Municipalities, public hospitals and other institutions have been slammed by the failure of nearly 1,000 auctions for their "auction-rate" securities. Their borrowing costs have tripled and quadrupled — to 15%, 20%, even 30%. Survival money is drying up. Low-rated corporate bonds , which had fueled a wave of leveraged corporate buyouts in recent years, are being abandoned by investors. Their prices are plunging to the lowest levels in history. Property and casualty insurers, among those loaded with corporate bonds, are taking it on the chin. More hedge funds are getting slammed. CSO Partners, for example, has lost so much money and suffered such a massive run on its assets, its manager (Citigroup) was recently forced to shut the hedge fund's doors to further withdrawals by investors. Commercial real estate credit is collapsing. Regional and super-regional banks are taking big hits. Life and health insurance companies will get smacked. Even some sectors of the short-term money markets are affected. Treasury-only money funds are safe. But beware of market funds that put your money in commercial paper, CDs and other non-Treasury instruments. This is no longer just one institution in trouble — like Long Term Credit Management, which threatened to shatter the financial markets in 1998. Nor is it just a crisis in one corner of the credit markets — like the near collapse of Penn Central Railroad and Chrysler in 1970 ... the collapse of Franklin National Bank in 1974 ... the junk bond debacle of 1989-90, the S&L crisis of the 1980s or the insurance company failures of the early 1990s. No. This has all the earmarks of a sweeping and devastating credit paralysis that threatens to end decades of U.S. economic expansion. We will survive. It is not the end of the world. And there are practical, prudent strategies immediately available to protect yourself. But for most Americans, the credit collapse will bring about a rapid transition that is both terrifying and traumatic — a shocking shift from growth to contraction ... reckless spending to forced thrift ... wealth to poverty. My mission is to make sure you're not among them; to help you join a growing minority of foresighted individuals who are building their wealth through the worst of times, keeping it safe, and preparing for the future day when they can invest it in some of the greatest bargains of our time. Your goal: To do well, but also to do good — to be one of the few who can accumulate a treasure-trove of liquid resources for yourself ... and also join those with the courage and means to pick up the pieces later, trigger a lasting rally from the bottom, and ultimately help lead the nation on the path to a true recovery. Take These Urgent Steps! It Could Be Your Last Chance! Step 1 . Get up to speed: Watch our Weiss seminar online now . 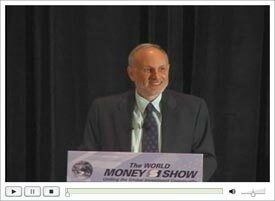 We're back from the World Money Show in Orlando, where we gave a resounding presentation. And we just posted to our website the entire 5-part series of video recordings. Click here for the list of programs now available for your immediate viewing. There's no cost and nothing to buy — just sound insights you can begin putting to work right away. Step 3. Sell real estate: Don't get stuck with sinking properties just because you can't get the price you hoped for. If you're selling your home, price it like you mean it. Instead of cutting your price in dribs and drabs and always trailing the market, cut it aggressively now. If you're looking for a new home, rent for now if possible. If that's not a viable alternative and you must buy now on credit, favor a 30-year fixed-rate loan. But make sure you have enough cash for a decent down payment. If you invest in commercial property, get out now while the market is still not far from its peak. Commercial property valuations got nutty during the recent boom, while capitalization rates plunged sharply. It's going to take a sizable drop in property values to get the cap rates back up to anything near normal. Sell REITs. The recession will drive vacancy rates up and absorption rates down, while keeping a lid on rents, especially in the office and retail sectors. If you are still exposed to the risk of falling real estate — whether residential or commercial — seriously consider a protective hedge, using the UltraShort Real Estate ProShares. Step 4. Get out of bank, brokerage and insurance company stocks: Use any Fed-inspired rally to sell. Don't let big names lull you into complacency. Stocks like Merrill Lynch, Capital One Financial, Washington Mutual and AIG could actually be among the most vulnerable. If you cannot sell, at least consider buying some protection with an inverse ETF that's tied to the financial industry, such as the UltraShort Financials ProShares. Step 5. Unload other stocks: Use rallies to sell retail stocks, semiconductors, transportation stocks, Dow stocks and most S&P stocks. Some investors protest: "Martin, I can't sell now . I can't afford to take the loss." My answer: If your stock portfolio is in the red, you've already taken the loss. Remember — the value of your brokerage account is marked to market every day. It doesn't distinguish between paper losses and realized losses, and you shouldn't either. Other investors say: "But, Martin, I can't sell now .I can't afford to take the profit and pay the taxes." My answer: Your true net worth is always after taxes. So avoiding taking profits now buys you little. Better to write a big check to Uncle Sam on your profits than to write no check due to losses. Step 6. Build cash: As you do this, park it in the one credit market that is still the single safest in the world — 3-month Treasury bills or Treasury-only money market funds. Step 7. Buy hedges against inflation: To the degree that the Fed and Congress throw more money at the credit collapse, inflation will be a continuing — and growing — danger. So stick with your inflation hedges. Guy Fox in Key West & Cubahhh! 20 Feb 08, 23:59 Lack of prescience? 2. The "ewe folks" always reap what they $ow! 3. Whom the gods would destroy, they first make mad! 4. The TRAPPINGS of $uccess... are exact-lie that! 5. Money is important; family and friends are more important. 6. It takes a lot more than money to live well. 7. Living well is the best revenge!